In India, Independence Day is observed on the 15th August every year, because on the said day of 1947, India won her freedom from the British rule after about 200 years. It is a red-lettered day, on which the schools and govern­ment and private offices remain closed. Early in the morning, the young students sing in chorus the national anthem in accompaniment of flute and drum marching together in processions in the streets. National flags are hoisted in the houses, schools, colleges, and offices. Teachers and leaders assemble in a public place to give their patriotic speeches to the people, promising to save the sovereignty and integrity of our vast country. The great sac­rifice of great Indian leaders who dedicated their valuable lives for the cause-'of the country's freedom in the past, is reverently remembered. It is a great day for India. In Delhi Red Fort Parade Ground, millions of Indians from different parts of the coun­try gather to listen to the annual speech of the Prime Minister. Many dignitaries at home and also from abroad attend the function. The tri-colour flag is unfurled by the Prime Minister with the national anthem sung vocally or played on musical instruments. A salute of 31 guns is fired, and from the sky, petals of red roses are showered from the army helicopters in the city streets. Large and coloured processions composed by the peo­ple from different Indian States pass by the Red Fort in a dis­ciplined manner. The charming march of the army personnel's and also that of the school boys and girls who sing and dance as they march forward, are special attractions. It is, no doubt, a wonderful sight of true national spirit. Every Indian must take an oath on the Independence Day to remain loyal and patriotic and to save his beloved motherland from any outside attack or humiliation, even at the cost of his life. And we must also feel at heart that all the Indians are our brothers and sisters, and accordingly, we must love and respect them. August 15, 1947 is the day engraved in gold in the history of India. It is the day when India attained its freedom from the clutches of a long slavery of over 200 years of the British Rule. It was a long and hard struggle in which many freedom fighters and great men laid their lives for our beloved motherland. Mahatma Gandhi led the great non-violence movement against which the Britishers had to finally succumb. The country produced great leaders and patriots like pandit Jawaharlal Nehru, Subash Chandra Bose, Dr Rajendra Prasad, Gopal Krishna Gokhale, Lala Lajpat Rai, Lokmanya Balgangadhar Tilak, Sardar Vallabh Bhai Patel, Bhagat Singh, Sukhdev, Rajguru and Chandra Shekhar Azad. The struggle for Independence was such a moving force that it united all the people belonging to different castes, classes and beliefs into a single nation. Women also came out of their houses and significantly contributed to the freedom struggle. Women like Aruna Asaf Ali, Sarojine Naidu, Vijay Laxmi Pandit, Kamala Nehru, Kasturba Gandhi, and Annie Beasant contributed greatly to the success of our freedom movement. August 15 is celebrated as the Independence Day every year. On our first Independence Day, pandit Nehru, our first Prime Minister, hoisted the National Flag, the Tricolour at the Red Fort. At midnight when the whole world was sleeping India awoke into a great nation promising peace, prosperity, equality and liberty. Since then, Independence Day is traditionally celebrated with fill zeal, fervor and great excitement. Every particle and pollen in the air seems to be charged with the love of the motherland on this particular day. One can see small children carrying small Tri-colours in their hands running with zeal towards their schools early in the morning for flag hoisting ceremonies in the schools. Every vehicle, tempo, auto rickshaw, has a tri-colour flying on a top of it. Songs full of patriotism can be heard at every street corner. 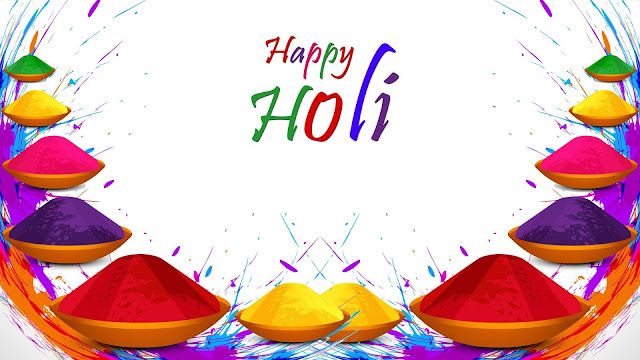 The day is celebrated with great fervor and people pay homage to the thousands of lives laid down by great men and women, they remember the countless sacrifices made and they glorify the great Indian tradition and culture with which we have enriched the world. The prime minister of India hoists the flag at the Red fort and gives a traditional speech addressing the people of India from its ramparts. All government and private institutions, schools, colleges and universities celebrate this day of great historical importance by hoisting the Tri-colour and distributing sweets and ladoos. People sing the National Anthem and patriotic songs and hear speeches which relate this glorious and long struggle, the sacrifice and great deeds of the people. Even the Television Channels and Radio programmes are surcharged with patriotism. Films based on patriotic themes are telecast to let the people and children know about the various incidents of our freedom struggle to inspire love for our motherland. Newspapers too print special editions relating inspirational stories of great men excerpted from great books written by the great men. 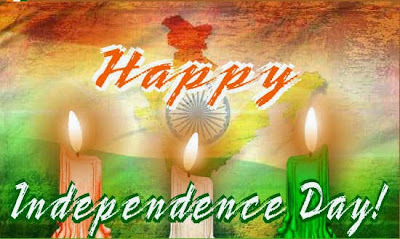 Independence Day, thus, is an important day in the life of every Indian. Year after year, it reminds us of the great sacrifice and struggle made by our freedom fighters to free Mother India from foreign rule. It reminds us of the great ideals which were the foundation of the dream of a free India, envisioned and realized by the founding fathers. It also reminds us that our forefathers have done their share of duty. It lies in our hands now how do we shape and form the future of our country. They have done their parts and have done it really well. The country now looks up to us so that we may do our part now. India is the country of festivals. Many festivals are celebrated in the country. The Independence Day is our most important national festival. On this day India got freedom from the British rule after 200 years. They left India on 15th August, 1947. So this India is the country of festivals. Many festivals are celebrated in the country. The Independence Day is our most important national festival. On this day India got freedom from the British rule after 200 years. They left India on 15th August, 1947. So this day is celebrated as "Independence Day" all over the country.Schools, colleges, shops, factories and offices are closed on this day. In Delhi the Prime Minister hoists the national flag and delivers his speech to the citizens of India. State capitals also celebrate this day. Chief Minister delivers the speech in the state capital. Everywhere the national flag is hoisted and the nation cd anthem is sung. In the evening stat buildings are lighted with bulbs. This day teaches us to be loyal faithful and devoted to our count We should be ready to sacrifice eve thing for our country even our life.